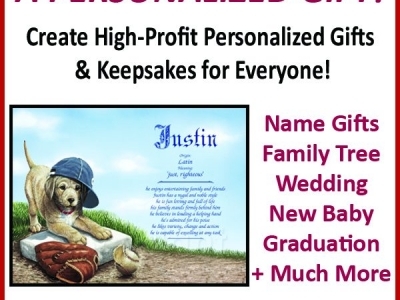 Create HIGH-PROFIT personalized gifts for everyone. 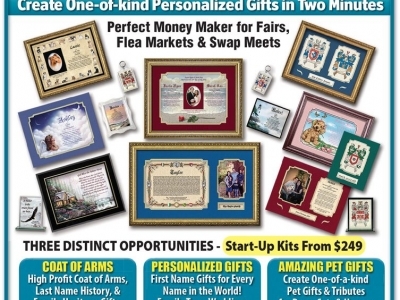 Appropriate gifts for every holiday, occasion & relationship: Christmas, Valentine's, Wedding, Anniversary, Moms, Dads, Graduation, Birthday, Baby, Faith, Friends, Family, Military Tributes, Pet Tributes. Name meaning and family Coat of Arms. Complete start-up kits from $249. A truly fun and rewarding opportunity you will enjoy while earning great profits. Made in the USA. 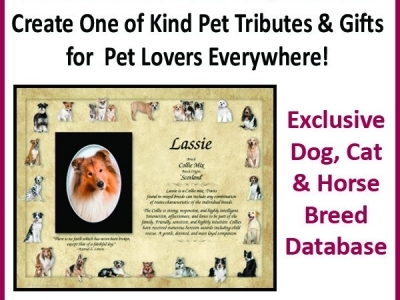 Visit our site and request a FREE sample.